(Natural News) Mental health is a major concern for the young and the old alike. According to the Centers for Disease Control and Prevention, geriatric depression occurs in 15 percent of the elderly population. Researchers from Chengdu Medical College revealed that aromatherapy massage and inhaling essential oils can be used as alternative remedies for geriatric depression. More than 90 percent of depression cases in elderly people are not given proper treatment since differences in the way elders experience depression often lead to a misdiagnosis. Instead of feelings of extreme sadness, manifestations of depression in elderly people usually involve physical and cognitive problems. Most of the time, these symptoms are incorrectly attributed to old age or medications instead of depression. This is very alarming since mismanagement of geriatric depression can worsen other health conditions that elderly people have as well as increase their mortality and suicide risk. Antidepressants are commonly used for treating geriatric depression. However, these are not safe since they have adverse side effects that are more harmful to elderly patients who are sensitive to medications. Psychotherapy and support groups can also be used but they might not be as effective in elders compared to younger individuals since elderly people are more hesitant about sharing their feelings. Fortunately, there are alternative treatments that have potential use in treating geriatric depression such as aromatherapy. Aromatherapy is an ancient practice that utilizes essential oils derived from plants that are either applied topically or inhaled to promote healing of the body, mind, and spirit. In this study, which was published in The Journal of Alternative and Complementary Medicine, the researchers looked at the potential use of aromatherapy massage and inhalation as alternative remedies for geriatric depression. This was done through a prospective, randomized controlled trial with community-dwelling aged 60 years old and above as participants. The participants were randomly assigned to receive one of the following treatments: 1) aromatherapy massage, 2) inhalation, or 3) no treatment. Participants in the first group received a 30-minute massage with a combination of essential oils, namely lavender (Lavandula angustifolia), sweet orange (Citrus sinensis), and bergamot (Citrus bergamia). On the other hand, those in the second group inhaled the same combination of essential oils for 30 minutes. The researchers evaluated the effects of the different treatments based on patient surveys as well as serotonin levels. Serotonin is an important parameter to consider in patients with depression since low concentrations of this neurotransmitter have been associated with depression. Results of the study showed that aromatherapy massage and inhalation significantly improved geriatric depression symptoms, as exhibited by lower scores on depression scale surveys and increased serotonin levels. On the other hand, patients who did not receive any form of treatment had no significant improvements in depression. 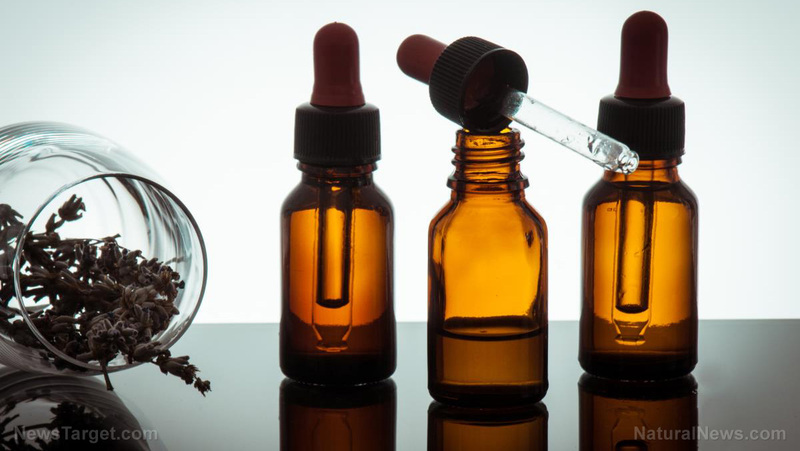 Learn more about the benefits of aromatherapy on mental health by visiting EssentialOils.news today.